A City academic has been providing expert advice to the Women and Equalities Commission, a government Commons Select Committee, as part of their investigation into why so few women are involved in leadership. 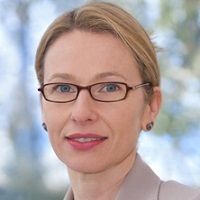 Specifically referencing work by Dr Ruth Sealy, a researcher and Programme Co-Director for MSc in Organisational Psychology at City University London, who has carried out extensive research on women in leadership, the work is part of a broader call for companies to increase the proportion of women on boards. This includes work conducted since 2007 by Dr Sealy as the lead researcher of the annual Female FTSE Report. Sponsored by government and major organisations, the report analyses the demographic composition of the FTSE 350 corporate boards and executive committees. The most recent study, published in March 2015, reveals that 23.5 per cent of FTSE 100 boards are now female – up from 20.7 per cent in 2014. There are now 263 women holding directorships across the FTSE 100. As a result, the study confirms that FTSE 100 firms are set to meet a target for a quarter of their boardroom positions to be held by women at the end of 2015 – double the figure recorded in 2011. To further evaluate the current literature and progress this year, the Women and Equalities Committee are hoping to hold a one-off evidence session to scrutinise progress with an oral evidence session in June 2016. As part of the session, the Committee will aim to look at the public, private and third-sector and address a number of key questions such as what are the barriers to women achieving senior positions, and also whether quotas should be introduced. “It is great to see that the government are taking the issue of women in leadership seriously. Women consistently get excellent degrees and make up half of graduate intake for major companies, yet only a handful of women are appointed to the most senior positions.